The 2014 HMS classbook staff, pictured from left to right, are Kaitlyn McManus, Kayla Bravo, Harmony Prescott, Amanda Ross, Jessica Thompson, Jake Mendyk, Joseph Juliano, Amber Tiritilli, Nick Fulton, Janelle Minervini and Advisor Sue Hill. 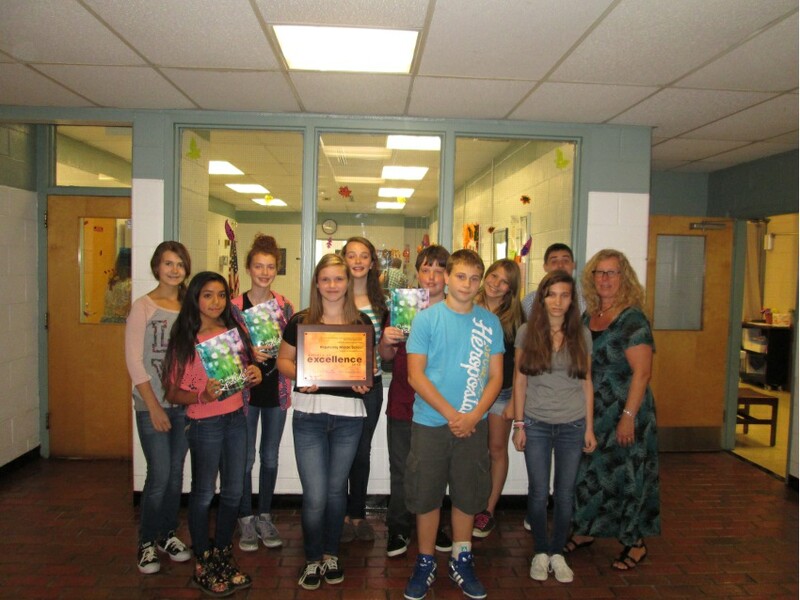 It’s not often that any middle school’s yearbook is awarded a national honor, but that’s exactly what happened to the 2013 edition of Hopatcong Middle School’s classbook. Walsworth Publishing announced that the book, themed “In the Spotlight,” has been inducted into its “Yearbook Gallery of Excellence.” This distinction is awarded to student publications which consistently demonstrate superior quality, according to Walsworth Publishing. The selection of HMS’ classbook as a gallery publication recognizes it as high-quality student work. The book will be used by Walsworth as an idea generator for other middle schools at its regional, state and national conferences and workshops. The cover, spreads and images will also be used in the publisher’s educational materials and resources as great examples of the quality work that can be created by students at the middle school level.